Inca Trail Trek 1 day to Machu Picchu is the shortest version among all the roads that take trekking lovers to Inca city of Machupicchu. The hike is by the same route of the Inca Trail 2 days and by the last part of the Classic Inca Trail 4 days. The trek begins at km 104 of the Cusco – Machu Picchu railroad at an altitude of 2100 meters / 6889 feet, reaching a maximum at sun gate 2,720 meters / 8924 feet, has 10.5 km / 6.5 miles and takes 6-hour to a moderate pace. Inca Trail Tour 1 day in group service, it is recommended for those people who do not have their group, it allows you to join other people who are not necessarily your acquaintances, and we have daily departures with a minimum of 2 and a maximum of up to 16 people. Inca trail trek – the best and shortest hike to Machu Picchu. Map of the Inca Trail trek 1 day to Machu Picchu. Inca Trail Trek 1 Day: Cusco – Km 104 – Machu Picchu – Cusco. 5 p.m. End of the tour in Machu Picchu. 5:30 pm. The descent on the bus to Aguas Calientes. 6:00 pm., Dinner at a good restaurant in Aguas Caliente. 11:40 p.m. 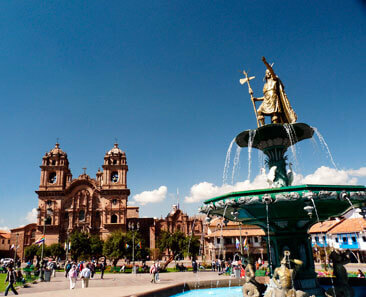 Finish to Cusco – Hotel. 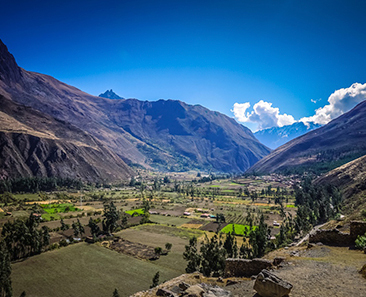 To start the one day Inca Trail Hike, our staff will stop by your hotel at 3:40 am to pick you up and take you in a minibus to the Ollantaytambo train station, where you will board the train to the railroad’s km-104. Then, you will pass the checkpoint along with your leader and start enjoying your adventure. First, visit the archaeological site of Chachabamba, then continue the 3-hour trek to the Wiñaywayna archaeological site, where you will have plenty of time to photograph and have lunch. After the short break, continue your hike enjoying the abundance of biodiversity to the highest point of the 1-day Inca Trail Trek, Sun gate (2,720 meters / 8,922 feet). 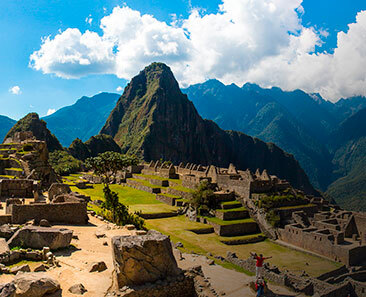 From where you will have beautiful panoramic views of the Inca city of Machu Picchu and Huayna Picchu. At approximately 2:00 p.m., start exploring the Inca city of Machu Picchu with your tour guide until 5 p.m. M. After the tour, board the bus to the town of Aguas Calientes to enjoy a delicious dinner. At 8:50 pm, take the return train to Ollantaytambo where our staff will be waiting for you to take you to the city of Cusco – Hotel. What do we include in Inca Trail Trek 1 Day? Round trip tourist mobility between Cusco and Ollantaytambo train station. Price of the Inca Path hike 1-day. Costs 2019 through January 31, 2020. One day Inca Trail Hike Group Service single price, minimum 2 people. For students under 25 years old, for those who have a University card with the valid date at the time of the tour. Also for high school students older than 12 years and under 17 years old. Special discount for children under 12 years old.